Is it spring yet?!? It's getting there out here in sunny Cali so I was inspired to pick up some in-season asparagus and prepare it simply and quickly. Gremolata is a mixture of parsley, garlic and lemon zest typically used in Italian cuisine. The addition of toasted breadcrumbs gives it a crunchy bite! Feel free to sub any citrus zest and any herb you wish. 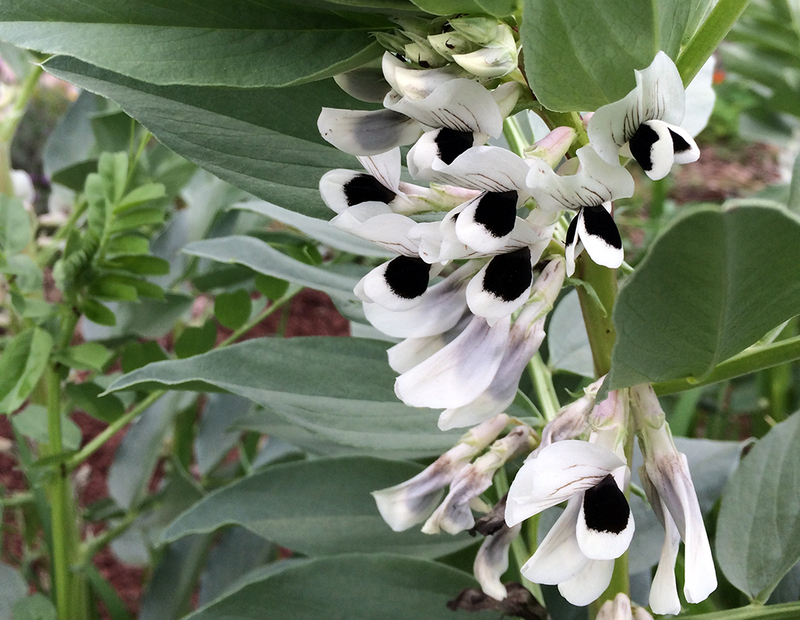 Snap those asparagus...don't cut them! How fast a year has gone! 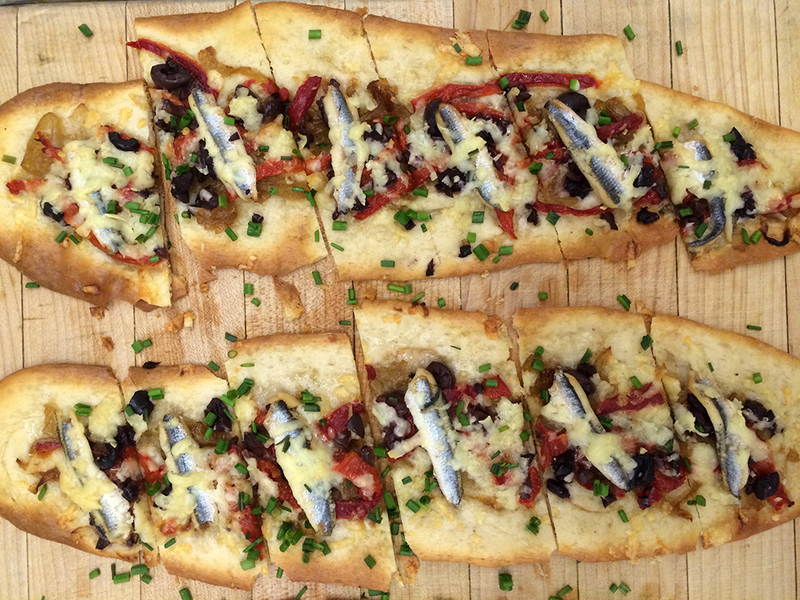 This photo was taken last March when I was in my Cuisines of the Mediterranean course...homemade flatbread with caramelized onions, olives, red peppers, anchovies, chives and cheese. Trim the asparagus by holding it at both ends and bending it until it snaps. Heat grill or grill pan over medium-high heat and brush with 1 tsp EVOO. 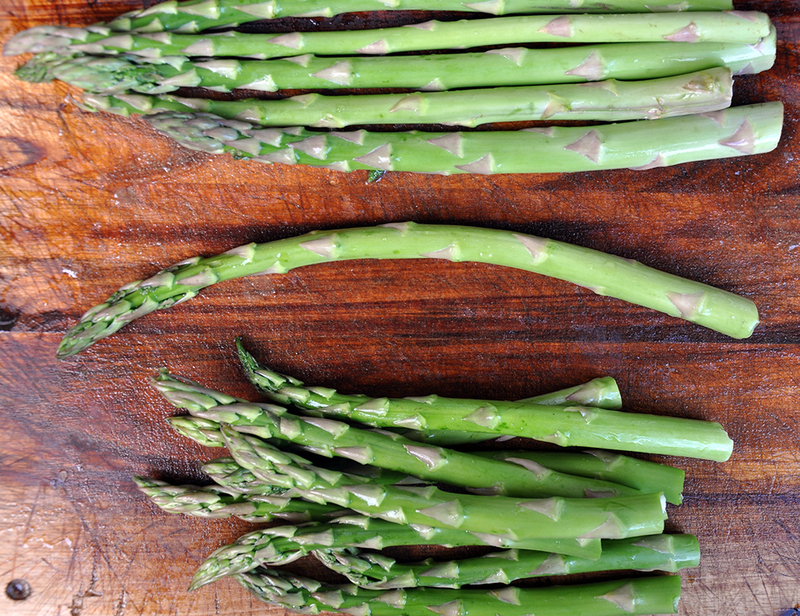 Toss the asparagus in 1 Tbsp EVOO and 1/4 tsp salt. Grill, turning occasionally, until all sides are charred, about 5 minutes. Remove from heat. In a small skillet over medium heat, heat remaining Tbsp EVOO. Add panko and coat with oil. Toast 3-5 minutes until desired browning. Remove from heat. In a small bowl, mix together panko, parsley, lemon zest, garlic and remaining 1/4 tsp salt. 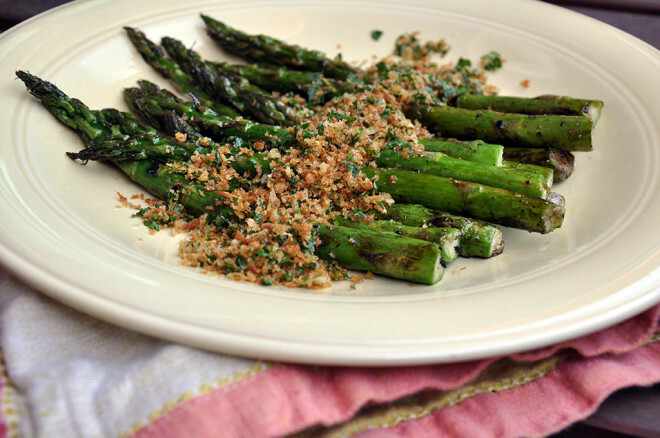 Sprinkle the gremolata over asparagus and enjoy!